Welcome to Cahuenga 18. 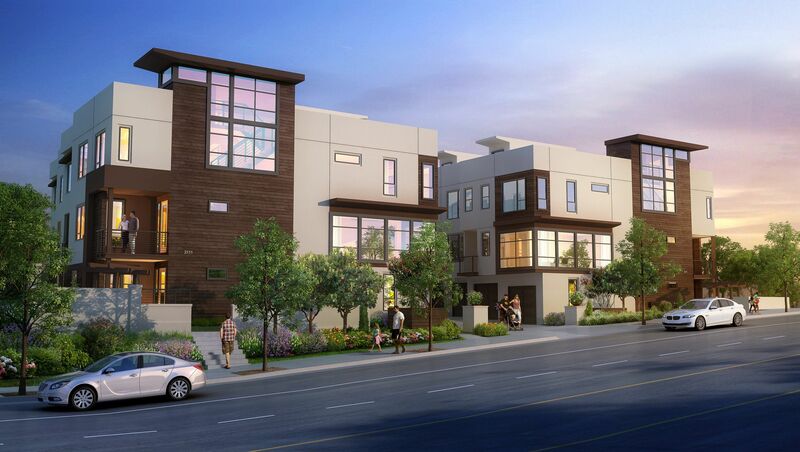 Eighteen contemporary, open-concept tri-level townhomes offer light-filled interiors with 2 and 3 bedrooms floorplans, up to 1,735 square feet. Modern amenities including private rooftop decks with city and landmark views, luxe appliance packages, and direct access 2-car garages. This pet-friendly community features private direct entrances for all units and second level balconies. Conveniently located with easy access to the best retail, restaurants, gym, transportation and recreation that Hollywood offers. About the Neighborhood: Introducing Hollywood living at its finest. Explore the many enclaves of Hollywood, Bronson Canyon, and Franklin Village by foot, bike, or public transportation. Enjoy an evening on the town minutes from your front door, taking in a show at the Pantages Theatre, concert at the Palladium, or see the LA Philharmonic perform at the Hollywood Bowl. Spend Saturday mornings strolling along the famed Hollywood Farmer’s Market and picking some of the finest local produce. With close access to two Metro redline stops and numerous bus lines, a car-less commute into Hollywood, Downtown, or the Valley is a breeze. Easy access to the many enclaves of Hollywood, Bronson Canyon and Franklin Village by foot, bike, or public transportation. Take in a show at the nearby Pantages Theatre. Enjoy a concert at the nearby Palladium. See the LA Philharmonic perform at the Hollywood Bowl. Take a Saturday morning stroll along the famed Hollywood Farmer's Market. Close access to two Metro Redline stops and numerous bus lines for an easy commute into Hollywood, Downtown or the Valley.